An exquisitely designed two tone tungsten carbide wedding ring. This design is available in a 7mm width with slightly bevelled edges which have black IP-plating. 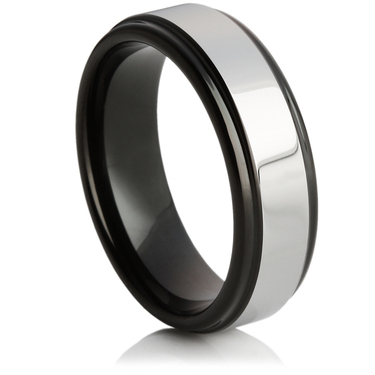 The black IP-plating helps to emphasize the highly polished raised tungsten carbide section.